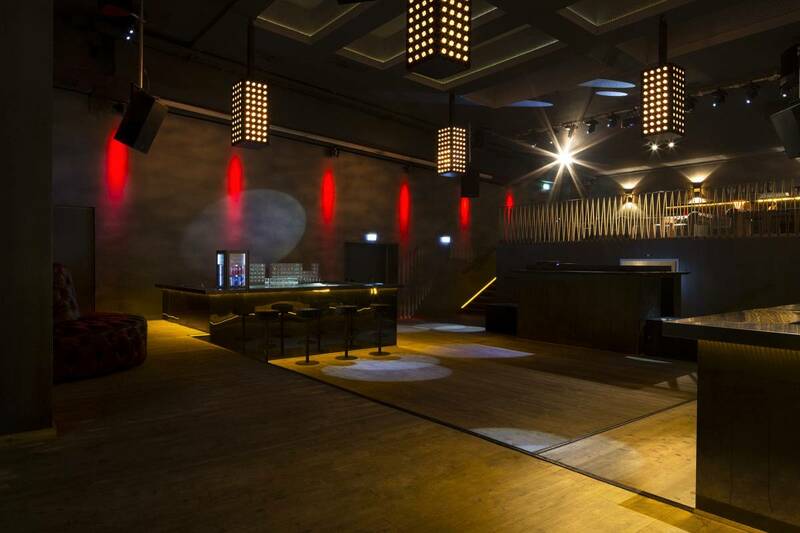 Entering through a neon lit 1950s shopping mall in Munich, the Jack Rabbit club is situated in a former cinema. 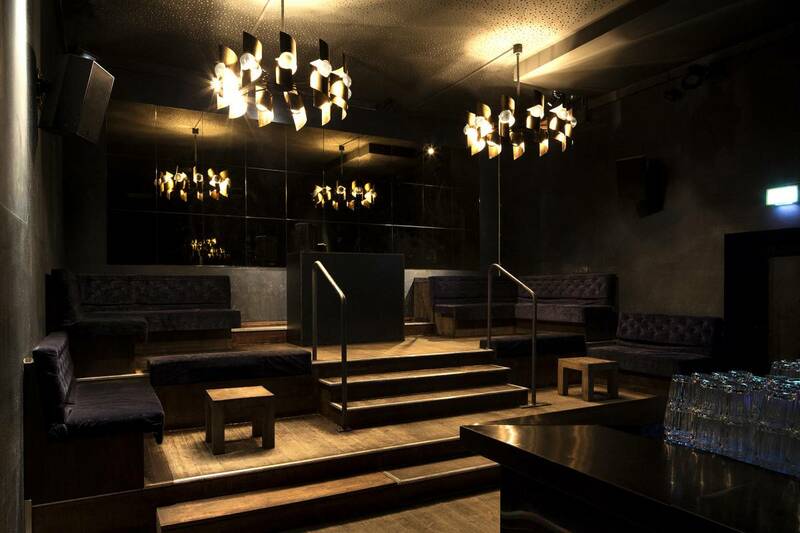 Laura V Rave designed the interior concept for this high-end nightclub with two floors, VIP area, and a gallery lounge. 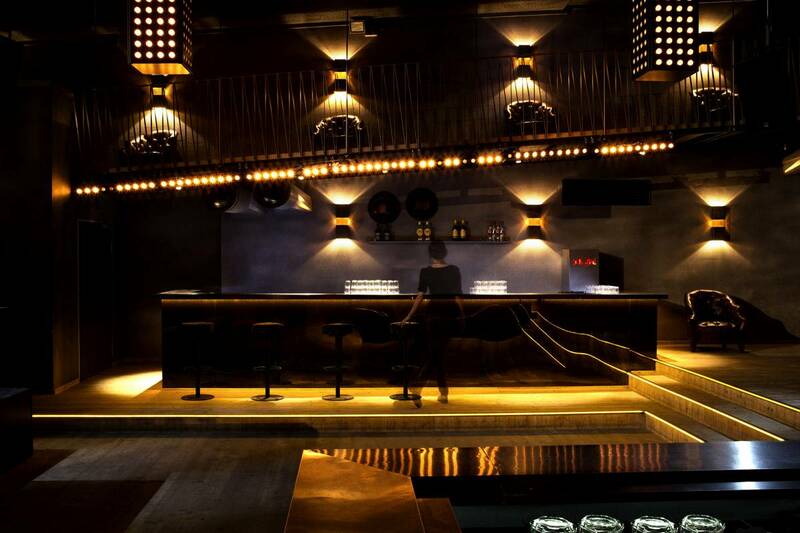 A mix of wide open spaces for dancing, and more intimate smaller spaces mark the spatial concept for the club. Patinated materials combined with shiny surfaces and gold shimmering light create an atmosphere of cool elegance.